Over the past days I've danced to Rita Ora, cheered on the English football team, watched a class of eleven-year olds sing their hearts out and cried too many tears. It has been an exhausting, emotional rollercoaster of a week. By Sunday afternoon, I was quite done in. Two decadent nights at our glorious Henley Festival on the banks of the Thames, an English defeat and my son leaving primary school were evidently too much to cope with. While the festival was brilliant in its own way, the big event for me was the end of primary school (yes, it was all about me). 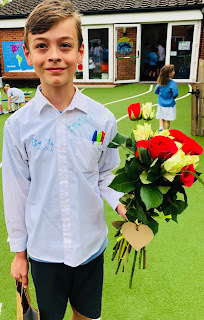 After eight happy years, my son bid goodbye to the teachers who have nurtured him since he was a little chap - chubby and bespectacled (think Milky Bar kid) in a uniform that didn't quite fit. His departure marks the end of an era. For as long as we've been living in Henley, one of my kids has been at the school. As well as being a pillar of local life, school has provided us with a community of lovely friends. 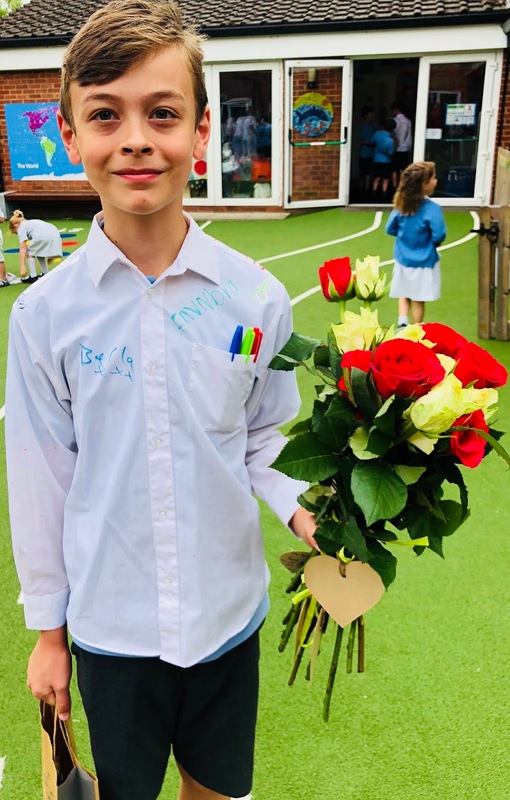 By the time my son left on Friday after the leavers' concert, he was fighting back the tears, but it was his mother who really disgraced herself. I dissolved into a snively mess at about 8:30 a.m. on the last morning, pretty much as we handed over our first leaving gift. The waterworks continued in spurts throughout the day. Perhaps sleep deprivation was to partly to blame. A late night dancing to Rita Ora on a floating stage is enough to exhaust any middle-aged mum... but at least in my moments of emotional candour I was feeling the stuff going on in my life. My guard was down, the emotional buffer zone had been breached. It was raw and it was messy, but for once I touched the quick of experience. Now I've caught up on sleep, I feel faintly embarrassed but also strangely purged. Aside from a few nostalgic twinges, I am ready to move on. The summer hols are stretching out ahead of us and a new era of independence dawns. As Rita Ora sang on the Festival stage, "We'll find the start to something new..." Bring it on.